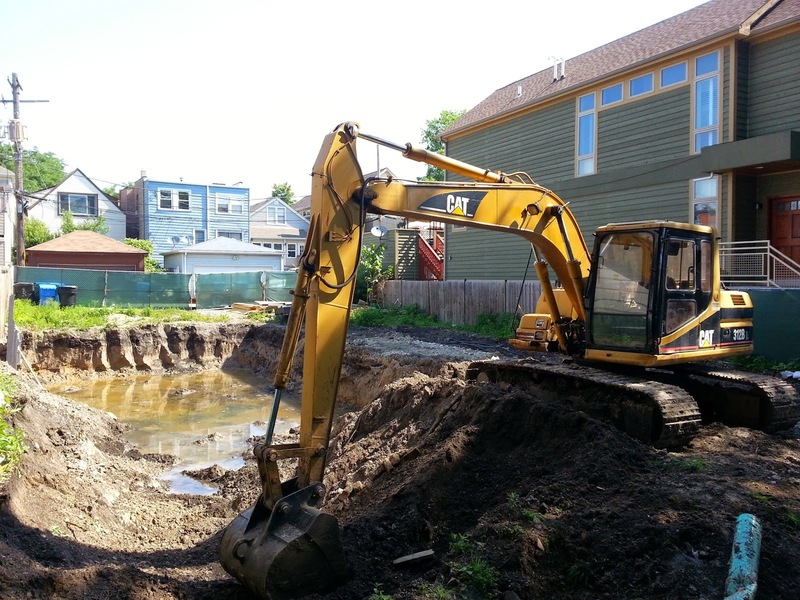 Two new single family homes are in development at 2418 and 2420 W Carmen (all photos Eric Rojas, Broker, Kale Realty). 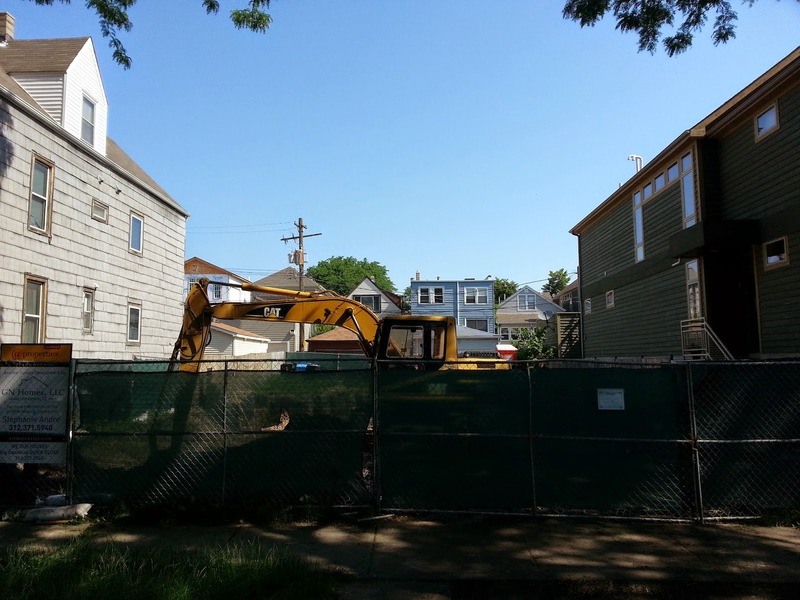 New single family home construction continues in Lincoln Square. The 2400 block of West Carmen (just west of Western Avenue) is home to an enclave of recent new builds. It's a nice block squeezed between North Western Avenue and North Lincoln Avenue. There are plenty of retail amenities to walk to (including the heart of Lincoln Square restaurants and shops). Most important, you can easily walk to a full service grocer (Tony's at 5233 N Lincoln) and two great parks. Winnemac Park with it's stadium, tennis courts, baseball fields, play-lot and natural prairie walks just to the west and River Park with outdoor pool, lighted tennis courts, field-house, river walks and ball fields just to the east. The very nice 2007 build 5 bedroom home adjacent to the east at 2416 W Carmen sold in 2012 for $648,000. A bargain in today's market only two years later. The new construction homes should be in the one million dollar range. This little area is often overlooked by home buyers looking to get into hot Lincoln Square. It might be worth the look. The blocks just west of Western Ave typically yield a 15% savings (apples to apples) on new construction homes over those built just east of Western Ave... and you are still close to the same amenities. This lot is on Carmen Avenue. That's one block south of Winona. Pretty close though!